One of the greatest hidden treasures of the Turkey Fair is the rare opportunity for fairgoers to row an antique St. Lawrence River Skiff. Frank Ellis is the Turkey Fair committee’s waterfront guy – a fitting position for him, having spent his summers here since the 1930s. Take the time to stop by and see him down by the dock this year. 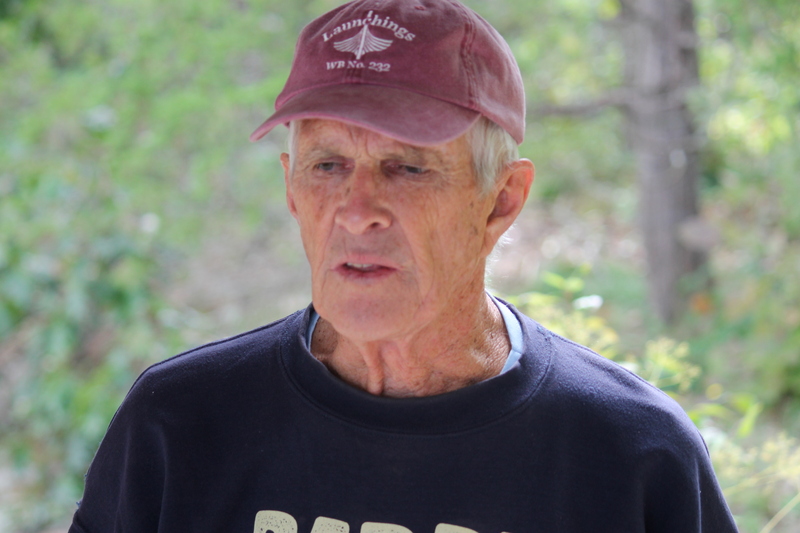 He will gladly tell you of the history of his boats, show you the other antique boats on display and teach you how to row. He is well versed in the history of the area, with humorous and interesting tales to tell. This isn’t just the Turkey Fair – this is people that love the fair, love Lyndhurst, the water, the land and the history. Do stop by. What is a skiff? It’s sort of a cross between a canoe and a typical rowboat. Skiffs are heavier than canoes and are good for fishing. They can be rowed by sitting in the middle or, if you have a passenger, from one end. 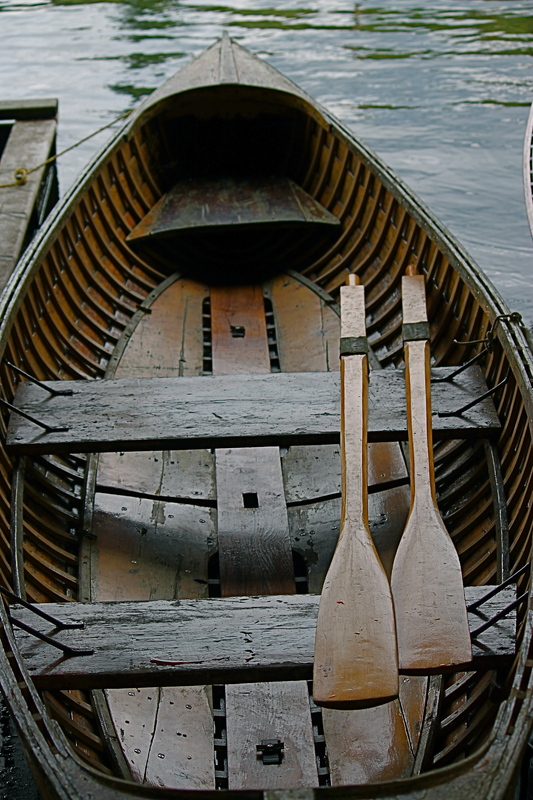 According to Frank and Sandy, they row better than any other rowboat. 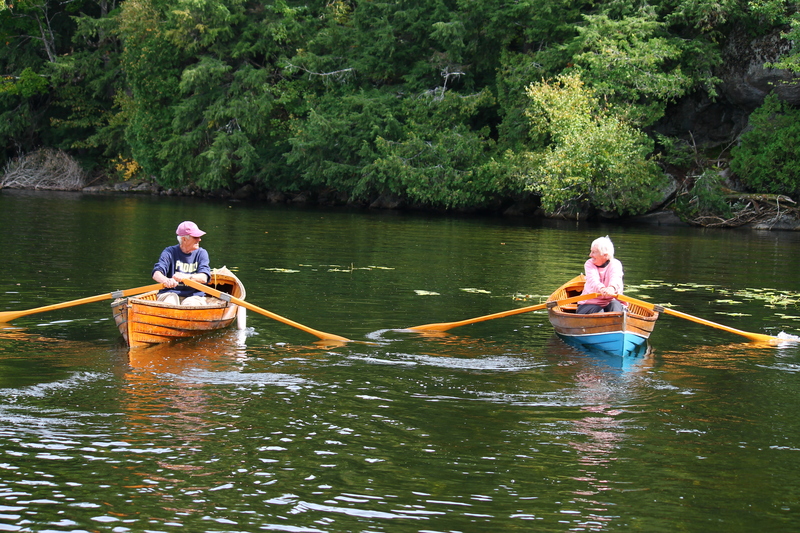 Frank and Sandy Ellis, enjoying a little jaunt on Lower Beverly Lake in their antique St. Lawrence River Skiffs. I love those skiffs. Frank is right.. u haven’t lived until u row one of those. They glide throught the water like nothing else!! We’re lucky to have Frank and his boats at the fair!